I spent most of the first decade of my life in a relatively new development in a then-exurban part of Richmond, Virginia, called Midlothian. 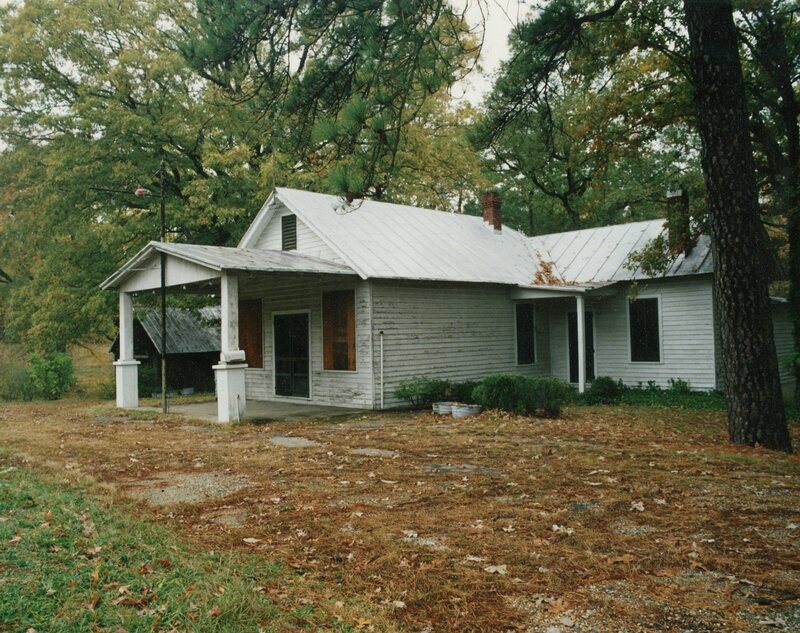 Midlothian as a community dates back a couple hundred years and was, for a long time, known for coal mining. If my elementary school teachers told the truth, it was the first commercial mining enterprise in the Virginia Colony and in what would become the United States. More mines were opened in the late seventeenth and early eighteenth century, many operated by Huguenot immigrants from France. Beginning in the late 1970s, a few large suburban developments began sprouting up among the fields of Chesterfield, among them Brandermill, where I lived, the first planned development in the county. It was somewhat pioneering at the time and was even named “The Best Planned Community in America” by Better Homes and Gardens in 1977. 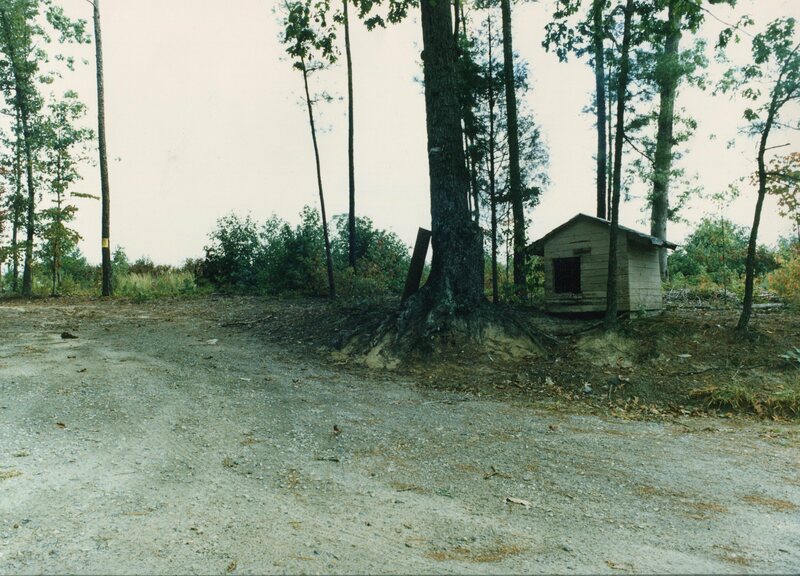 But between the developments, the area remained relatively untouched farmland. But in the mid-1990s, this began to change. Noticing this change, my mother, an artist, took me with her and drove all around the county over a few weeks documenting old signs, country roads, farmland, and decaying houses she knew wouldn’t survive development. 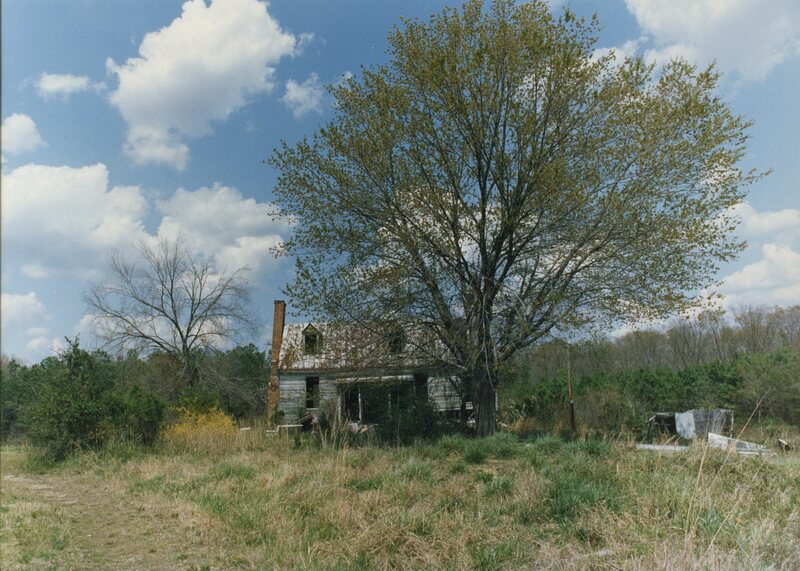 I remember creeping behind a strip mall, through ditches and underbrush, to reach a long-vacant wooden farmhouse, partially collapsed, its paint peeling. 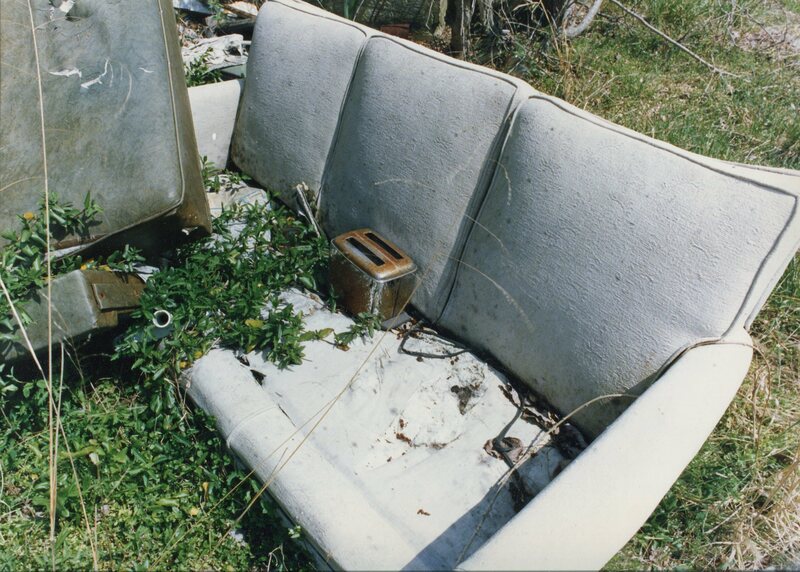 Whatever contents had remained were scattered outside around it — an ancient washing machine, a battered coach with a rusted toaster atop it. When we went back to visit some time later, the house had disappeared. I haven’t been back to Midlothian in some time, but the last time I visited, almost a decade ago now, it was completely built up. 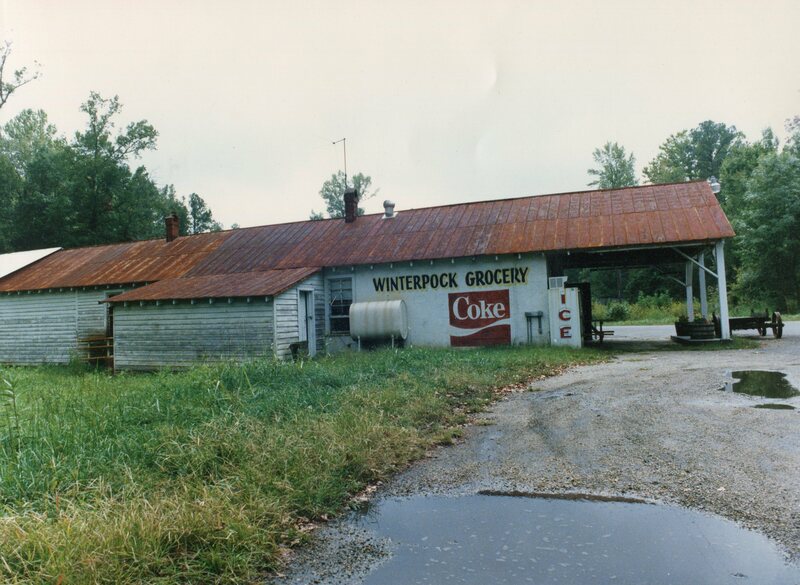 The farms and fields were gone and the old abandoned farmhouses and country stores had vanished, replaced by newer developments, strip malls, and parking lots. My mother’s photographs eventually became an exhibit entitled “Vanishing Chesterfield” and then were hidden away until my mother rediscovered them earlier this year. To see or purchase more photos from this series and other fantastic work, check out her website. 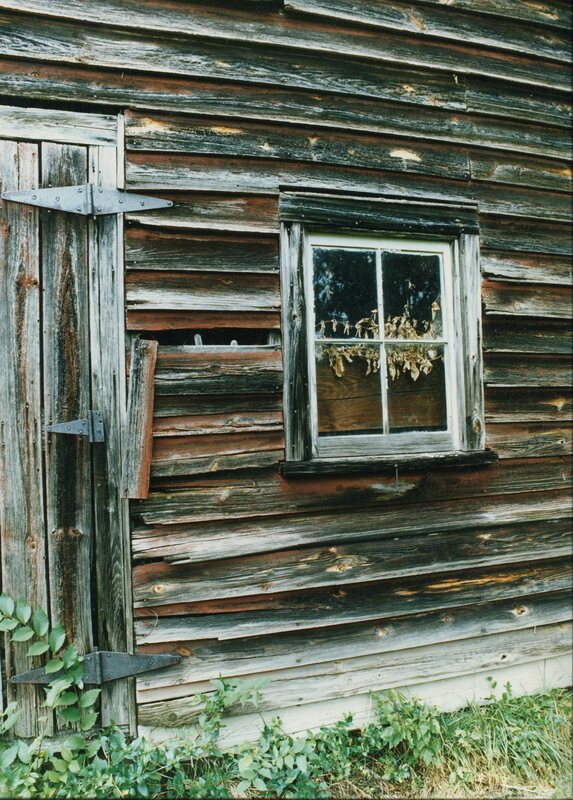 An old farmhouse with boarded-up windows. A.S.Graboyes. The house behind the strip mall. A.S.Graboyes. Couch with toaster. A.S. Graboyes. 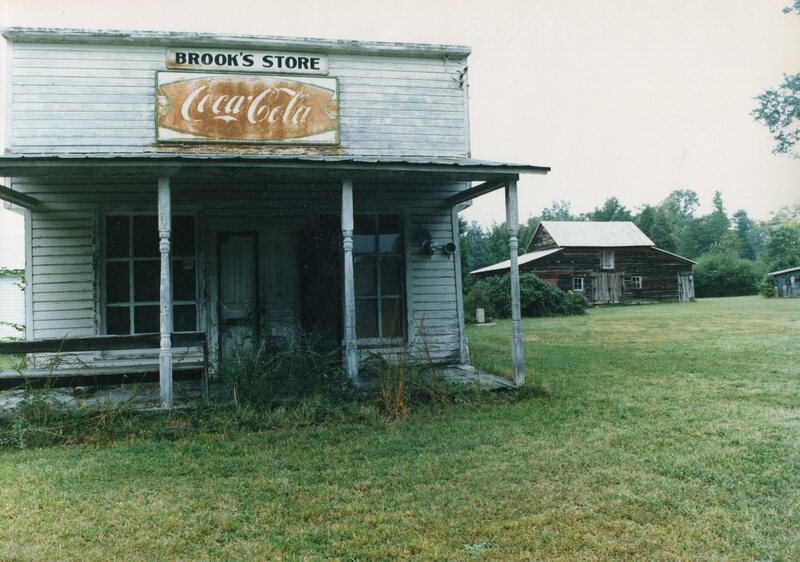 Brook’s Store and old barn. A.S. Graboyes. 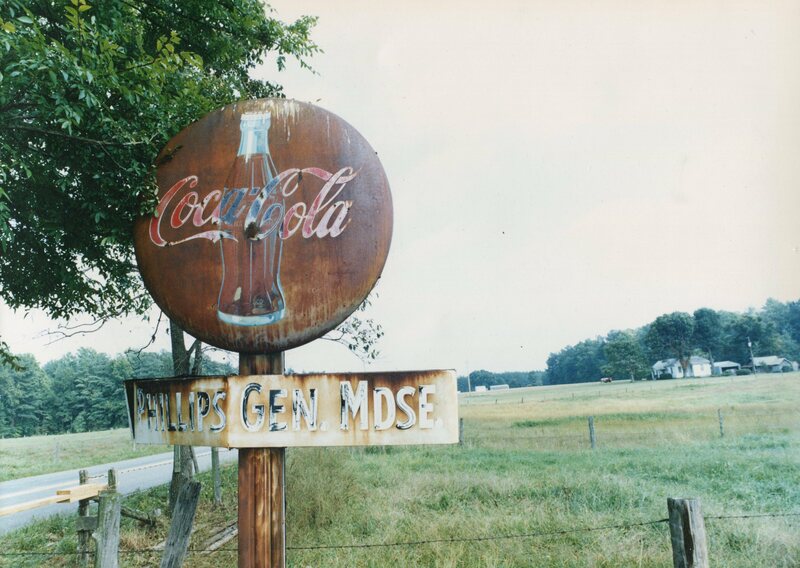 Coca-Cola sign, Phillips General Merchandise. A.S. Graboyes. End of the road. A.S. Graboyes. 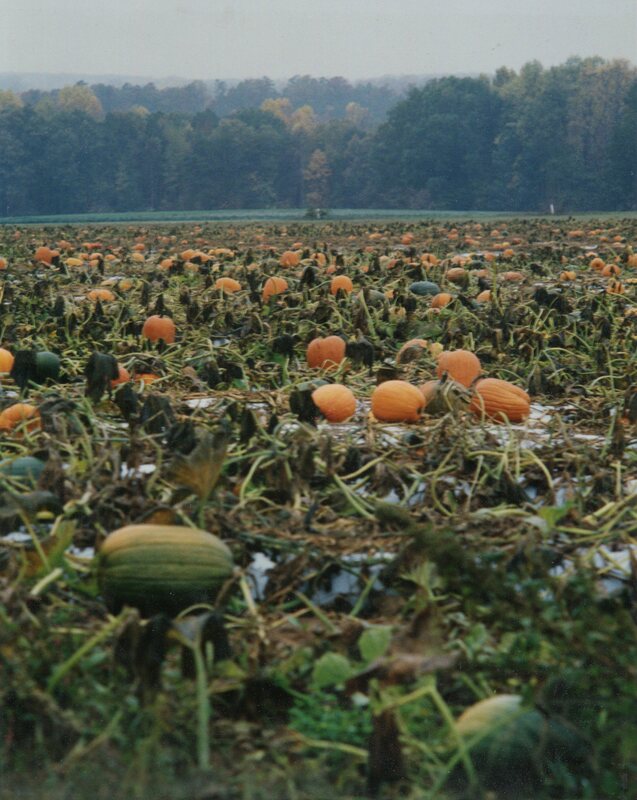 Field of pumpkins. A.S. Graboyes.